PS4 players will also receive the new map and new difficulty mode soon. 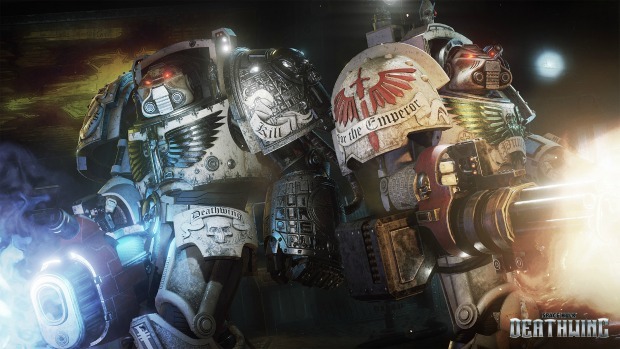 Even with a less-than-perfect launch, Space Hulk: Deathwing has found some fans thanks to its atmosphere and art direction. After making significant improvements to the base game with the Enhanced Edition, developer Streum on Studio has announced the release of the Infested Mines DLC. Available for free to all players on PC, the DLC brings a new map and other new features. This includes the ability to switch off the HUD and take advantage of a new level of difficulty that provides more realistic combat. The new Infested Mines map can be played both solo and in co-op, so if you’re curious about more verticality along with different kinds of engagements, it might be worth a look. If you want to try Space Hulk: Deathwing for yourself, then head on over to Steam right now. PS4 players will be receiving the update and DLC soon, so sit tight. They will also receive items from the Skulls for the Skull Throne DLC, allowing for more customization.